Thank you for volunteering to coach this year. Please review this page carefully for updated information about 2018-2019 NGS coaching requirements. Please complete all requirements as soon as possible. We will not be able to issue travel coaches a 2018-2019 MYSA/BAYS credential until they have met all requirements. Check out the Coach Requirements Chart for a quick overview. Click on links below for additional important details. Mandatory for ALL Juniors Grade 2 and NEW Grade 3-6 Travel or City Coaches. 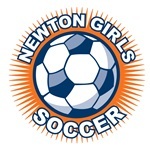 Newton Girls Soccer is committed to providing opportunities for continued education and development for all our coaches through coaching clinics and courses. US Soccer Coaching Courses are available both in person and online click here. Age Appropriate Playing Format Courses are mandatory for ALL Head Coaches (Grade 2 – Grade 8) and optional for assistant coaches. IMPORTANT NOTE TO PREVIOUSLY LICENSED COACHES: The U.S. Soccer Coaching License Pathway has been revised. The U.S. Soccer G, F and E Coaching courses are no longer offered as a part of the U.S. Soccer Coaching License Pathway. Although those licenses are relevant as a means to advance along the pathway, coaches who currently hold the U.S. Soccer G, F, or E License are still required to take the Introduction to Grassroots Coaching module and one additional grassroots course. NGS will reimburse the cost of license registration fees for all coaches. For reimbursement, email your receipt to the Club Treasurer Nina Levin, registrar@newtongirlssoccer.org. Reimbursement requests must include a name and mailing address. Please note we will be keeping track of licenses. Email your age group coordinator and registrar@newtongirlssoccer.org with email confirmation or certificate of completion once you finish a course. Mandatory for ALL Travel Coaches, Juniors Grade 2 and City Coaches. (1) Annually (in the fall), ALL head, assistant and professional coaches are required to complete an online concussion training program. If you completed the concussion training in the past it is no longer valid; you have to complete it again for the 2018-2019 season. At the end of the training session, answer questions to obtain a certificate of completion. Type your name on the certificate, then save and print the pdf file. Note: once you log out your information will NOT be saved at the CDC site. Send the completed certificate to Marysol Masse-Makimura at registrar@newtongirlssoccer.org. If you have trouble saving the certificate please print it, take a picture with your cell phone and send the photo in an email to Marysol. Please remember to print a copy for your records. Certificates must be received before any travel coach can work with their team. Travel coaches will not be issued a MYSA/BAYS credential if they have not submitted a copy of the certificate. The certification will be good for the upcoming fall and spring seasons only. Previously completed certificates are no longer valid! (2) Distribute CDC Concussion Information Sheet and CDC FACT Sheet for Parents to the parents prior to the start of the season even if you handed them out last season. (3) Review the CDC Fact Sheet for Athletes with all players prior to the start of each season. (4) Review the CDC Coaches FACT Sheet. NGS will follow the CDC guidelines for any player suspected of having a concussion. (5) Consider using the Heads Up App. The Heads Up app will help you learn how to spot and what to do if you think your child or teen has a concussion or other serious brain injury. If you have any questions, please contact Marysol Masse-Makimura at registrar@newtongirlssoccer.org. All adult volunteers must be registered with the MA Youth Soccer Association and be CORI approved before they can work with children. Returning Volunteers – If you volunteered with NGS at any time since 2016, you should already be CORI’d and registered with MYSA. Please check your status and account information at Affinity Login Portal on ShareView. If your CORI is current, no action is required. If your CORI is expired or expires during the 2018-2019 soccer year, click here for instructions. New Volunteers – Go to the Affinity Adult/CORI Registration Portal on ShareView to register. You cannot volunteer with NGS until you are registered with MYSA. Once your CORI registration is complete, print the CORI agreement form, sign it and email ngscori@gmail.com to make arrangements to bring the original signed form to the CORI Coordinator, Holly Henson, with your ID. Click links for additional details about CORI and MYSA Adult Registration. All registered, affiliated and CORI approved adults are required to have a current Mass Youth Soccer Adult Credential for the current soccer year. The purpose of this photo ID is to help guardians feel comfortable that all adults volunteers have been properly CORI checked and are in good standing. Initially when arriving at the field the adult should have their credential worn around their neck. Then, in order not to hamper their activities (coaching, lining fields, running, etc.) they may, if necessary, store the credential with their personal belongings during that activity. MYSA Credentials will be distributed at the Fall Coach Meetings. If a volunteer is not attending a meeting or is not approved in time, we will make other arrangements. *Please note BAYS will no longer be providing Coaches Pass Cards for Travel Games. Instead coaches will be required to use the MYSA Adult Credential Card.